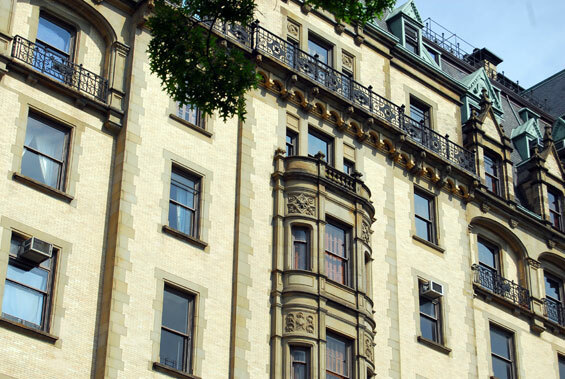 Address: The Dakota, 1 West 72nd Street, Manhattan. 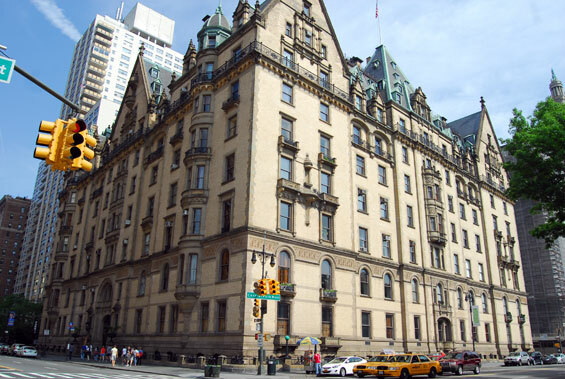 Famous for the shooting of John Lennon, the Dakota stands on the corner of 72nd Street and Central Park West. 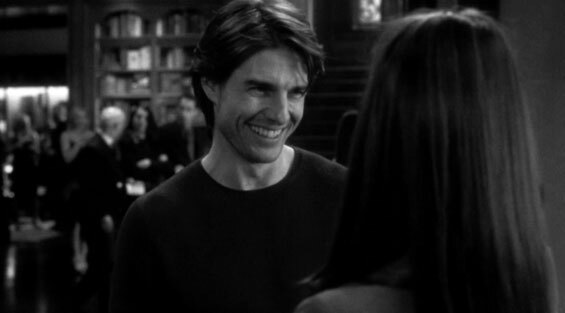 David Aames is a wealthy owner of a large publishing firm in New York City, who until recently enjoyed the bachelor lifestyle. He lives at the world famous, Dakota in a spacious apartment, elegantly decorated and complimented with hi-tech equipment as well as collectable items. His best friend Brian Shelby introduced Sofia Serrano to him at one of his many parties and they instantly connected and became soul-mates overnight. otsoNY Comments: The Dakota was only used for exterior shots. All interior shots were done on a sound stage. The only film to have been shot inside the Dakota was Rosemary’s Baby in 1968. 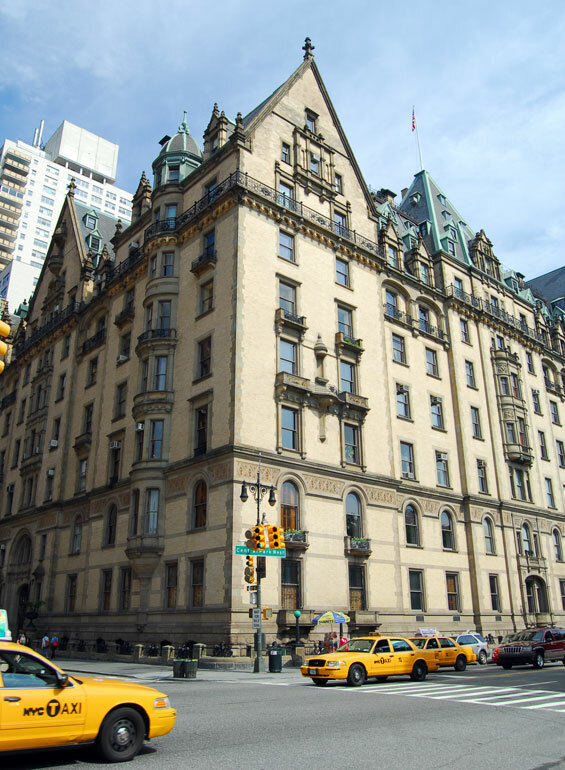 The Dakota, constructed from October 25, 1880 to October 27, 1884, is a co-op apartment building located on the northwest corner of 72nd Street and Central Park West in the Upper West Side of Manhattan in New York City. The building is most widely known as the location of the murder of musician John Lennon. The architectural firm of Henry Janeway Hardenbergh was commissioned to create the design for Edward Clark, head of the Singer Sewing Machine Company. 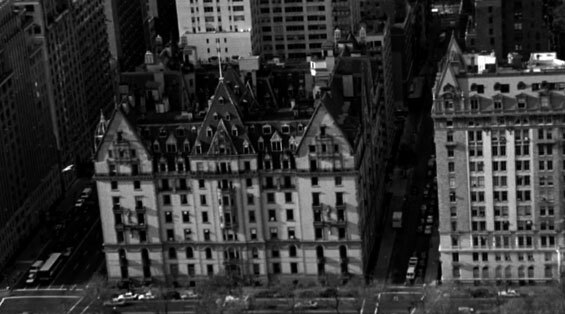 The firm also designed the Plaza Hotel. The building's high gables and deep roofs with a profusion of dormers, terracotta spandrels and panels, niches, balconies, and balustrades give it a North German Renaissance character, an echo of a Hanseatic townhall. Nevertheless, its layout and floor plan betray a strong influence of French architectural trends in housing design that had become known in New York in the 1870s. 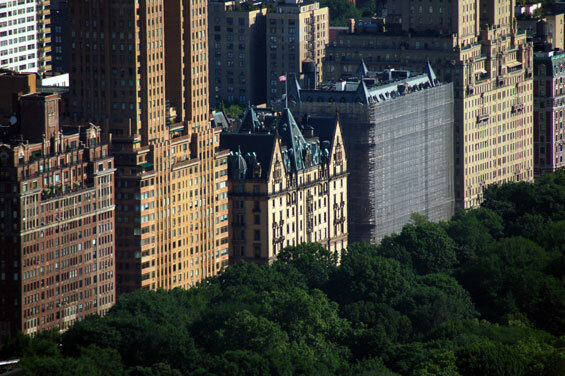 According to often repeated stories, the Dakota was so named because at the time it was built, the Upper West Side of Manhattan was sparsely inhabited and considered as remote as the Dakota Territory. However, the earliest recorded appearance of this account is in a 1933 newspaper story. It is more likely that the building was named "The Dakota" because of Clark's fondness for the names of the new western states and territories. High above the 72nd Street entrance, the figure of a Dakota Indian keeps watch. The Dakota was added to the National Register of Historic Places in 1972, and was declared a National Historic Landmark in 1976. The Dakota is square, built around a central courtyard. The arched main entrance is a porte cochère large enough for the horse-drawn carriages that once entered and allowed passengers to disembark sheltered from the weather. Many of these carriages were housed in a multi-story stable building built in two sections, 1891–94, at the southwest corner of 77th Street and Amsterdam Avenue, where elevators lifted them to the upper floors. The "Dakota Stables" building was in operation as a garage until February 2007, when it was slated to be transformed by the Related Companies into a condominium residence. Since then, the large condominium building "The Harrison" occupies its spot. As of 2011, there is no onsite commemoration of the stable building having ever existed. The general layout of the apartments is in the French style of the period, with all major rooms not only connected to each other, en filade, in the traditional way, but also accessible from a hall or corridor, an arrangement that allows a natural migration for guests from one room to another, especially on festive occasions, yet gives service staff discreet separate circulation patterns that offer service access to the main rooms. The principal rooms, such as parlours or the master bedroom, face the street, while the dining room, kitchen, and other auxiliary rooms are oriented toward the courtyard. Apartments thus are aired from two sides, which was a relative novelty in Manhattan at the time. Some of the drawing rooms are 49 ft (15 m) long, and many of the ceilings are 14 ft (4.3 m) high; the floors are inlaid with mahogany, oak, and cherry (although in the apartment of Clark, the building's founder, famously, some floors were inlaid with sterling silver). 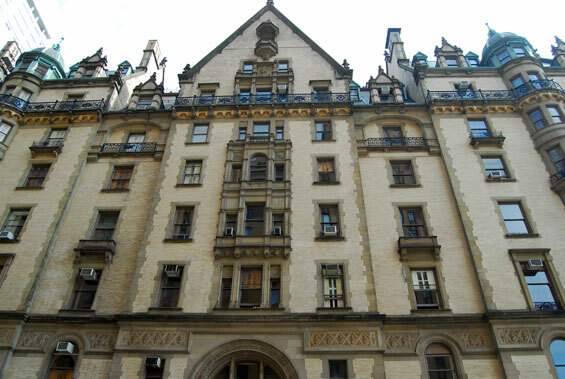 Originally, the Dakota had sixty-five apartments with four to twenty rooms, no two being alike. These apartments are accessed by staircases and elevators placed in the four corners of the courtyard. Separate service stairs and elevators serving the kitchens are located in mid-block. Built to cater for the well-to-do, The Dakota featured many amenities and a modern infrastructure that was exceptional for the time. The building has a large dining hall; meals also could be sent up to the apartments by dumbwaiters. Electricity was generated by an in-house power plant and the building has central heating. Beside servant quarters, there was a playroom and a gymnasium under the roof. In later years, these spaces on the tenth floor were converted into apartments for economic reasons. The Dakota property also contained a garden, private croquet lawns, and a tennis court behind the building btw 72nd and 73rd Streets. 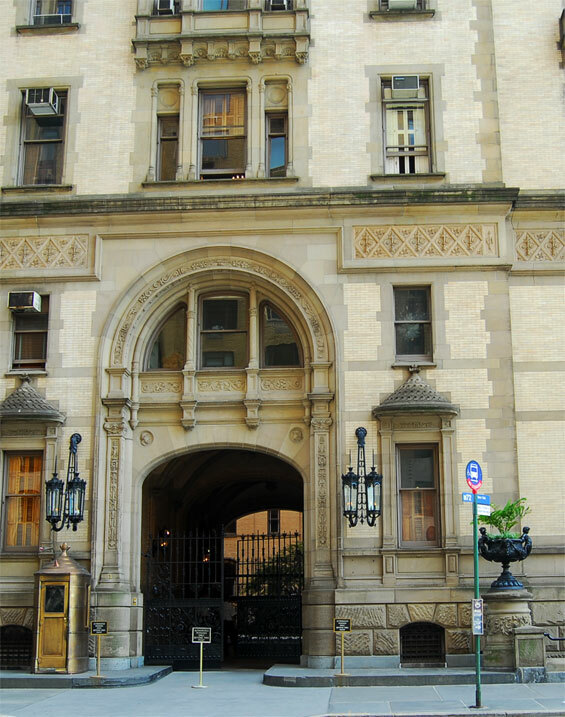 The Dakota was a huge social success from the very start (all apartments were let before the building opened), but it was a long-term drain on the fortune of Clark (who died before it was completed) and his heirs. 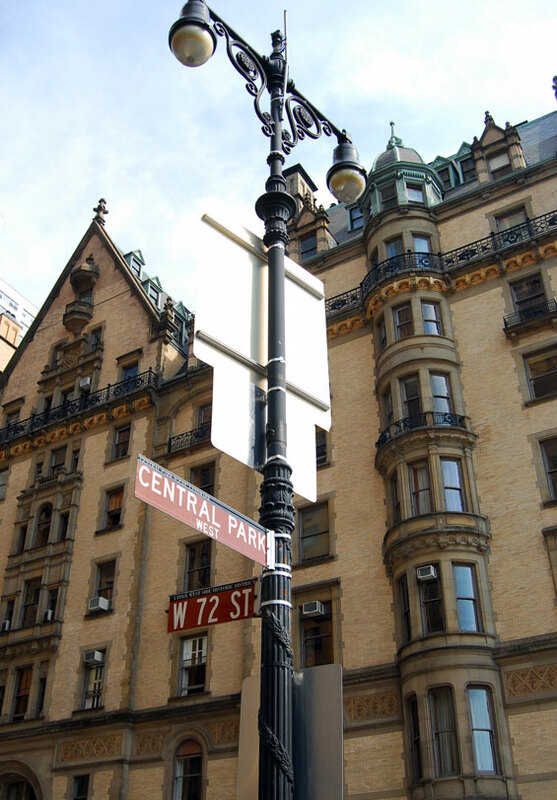 For the high society of Manhattan, it became fashionable to live in the building, or at least to rent an apartment there as a secondary city residence, and The Dakota's success prompted the construction of many other luxury apartment buildings in Manhattan. The building was the home of former Beatle John Lennon from 1973 on, and was the location of Lennon's murder by Mark David Chapman on December 8, 1980. 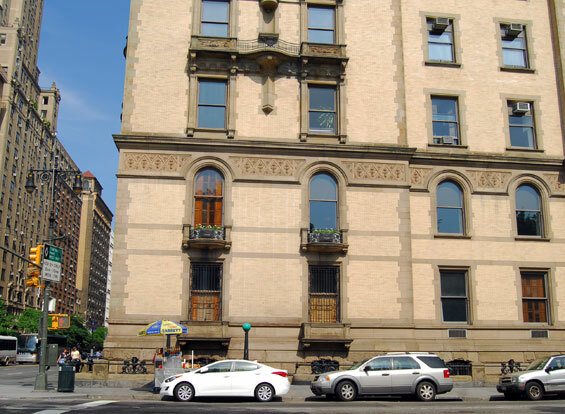 As of 2010, Lennon's wife, Yoko Ono, still has several apartments in the building. The Strawberry Fields memorial was laid out in memory of Lennon in Central Park directly across Central Park West. Every year, Ono marks the anniversary of Lennon's death with a now-public pilgrimage to the memorial, and by placing a single lit candle in the window of one of her apartments.